Founded in France with over 160 years history, AIGLE has been active in the Hong Kong markets for over 20 years, with many existing customers and followers. While many customers do visit the brand’s websites before coming to the store, there are times when customers are disappointed because the items they are looking are not available in store. AIGLE has implemented CLEARomni to enable an Omni-Channel shopping experience, by allowing Click & Reserve Service and fully integrating with its offline membership program. The key campaign objectives for AIGLE were to drive store visits with a higher purchase conversion with the added opportunity to up-sell and cross-sell by providing a superior O2O (online-to-offline) shopping experience through click and reserve. To achieve this, we had to focus on three key elements: The overall user experience for customer activation and the entire O2O shopping experience, Integration with existing POS and CRM systems and In-store operations design and training. 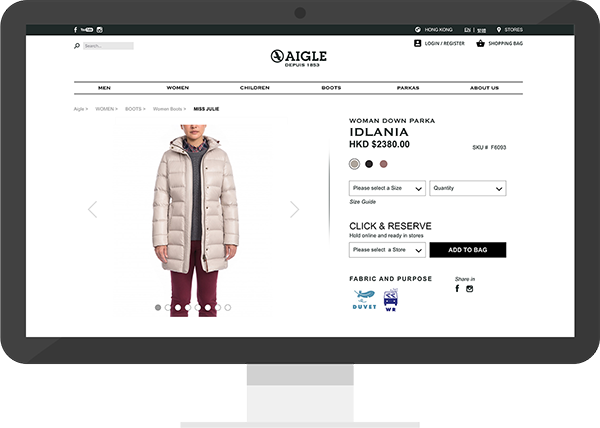 To enable the solution, we had to integrate the AIGLE Hong Kong site with CLEARomni for click-to-reserve functionality. 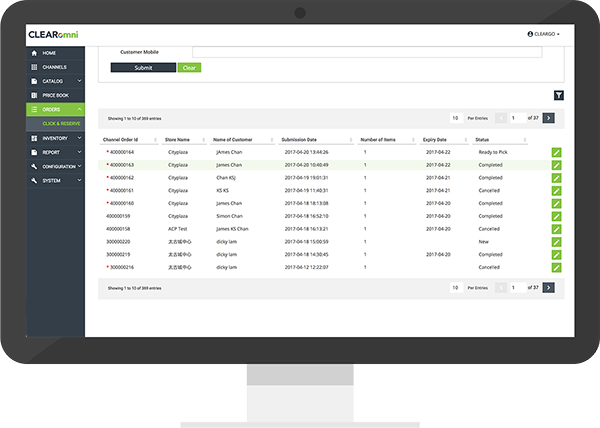 At the same time the CLEARomni backend provided the O2O catalog, inventory and order management functionality and was integrated with CRM and POS to determine stock availability and member data. On the storefront, each store has an iPad with the CLEARomni App for in-store operations management. 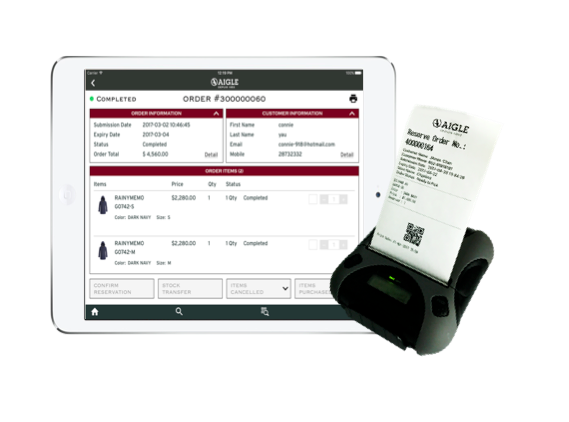 Once at the store, the store associate can scan the QR code from the customer’s email to retrieve the order and the items. If the customer decides to purchase, the final order is placed at the POS with the receipt number recorded for conversion tracking. If the customer does not come to the store in time, a automated email is sent on the reservation expiry date to remind them. CLEARomni is used as the hub to empower O2O and Click & Reserve for AIGLE. It connects their Magento based website for capturing online reservation orders, allows for the management of reservation inventory availability based on defined rules, provides an easy to use dashboard to manage all orders and an in-depth reporting on sales and inventory.